To make order management easier for you and your sellers, Purpletree allows you to create a separate set of statuses for seller orders. To make a new order, your customer has to add one of more products to their cart and go through checkout. Once the checkout is completed, the customer will see the new order in the Order history page in their Accounts. Each order in the list contains the details about the order as well as the status of the order and each of the seller orders. With the help of this extension, the vendor can manage the orders, and order records. The most helpful feature of this module is inventory management based on Orders for an e-commerce store with a sales order. It is easy to use and user-friendly guide. For the order management vendor order status permission has required from admin side. If admin not give permission to vendor for managing order than vendor can not manage orders. 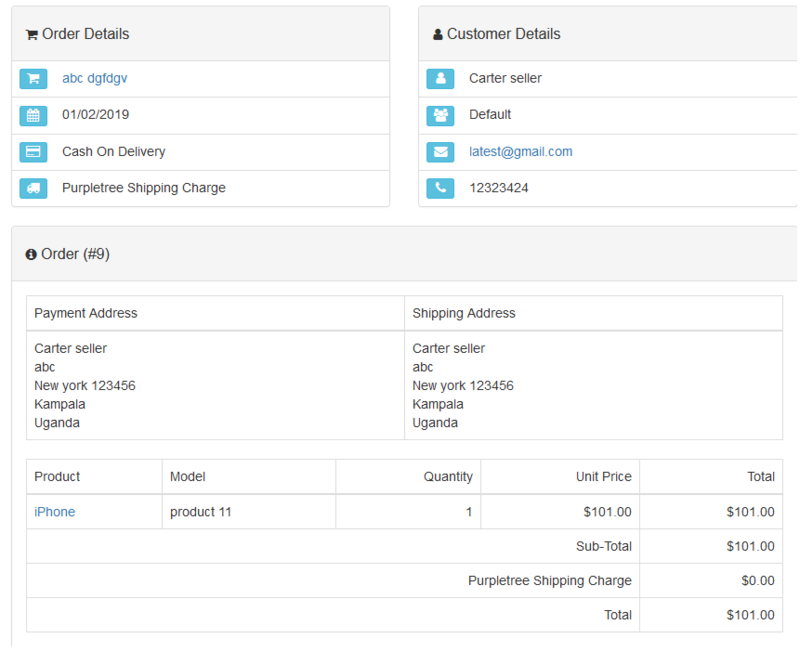 Vendor can view Order details, change the order status, edit the ordered items details, print order invoice, print shipping, and even remove the ordered products from there. Vendor can order the entire Quantity of Products at once or partial Quantity of Products. Would like to know how every vendor can manages orders and keeps track of everything in purpletree multivendor. When customer ordered product of vendor than add this order in order list of vendor. But here orders are hidden because without completion on order status, order list will not show. So order status needed to complete from both admin and seller side. If order status not complete from admin and vendor than orders list has invisible, but vendor see all orders with filter, when vendor set order status all for order visibility. By default seller order status & admin order status has pending. So, vendor & admin needed to complete the order status for visibility. Go to seller panel and click on Orders. Here you can see how to filter orders. 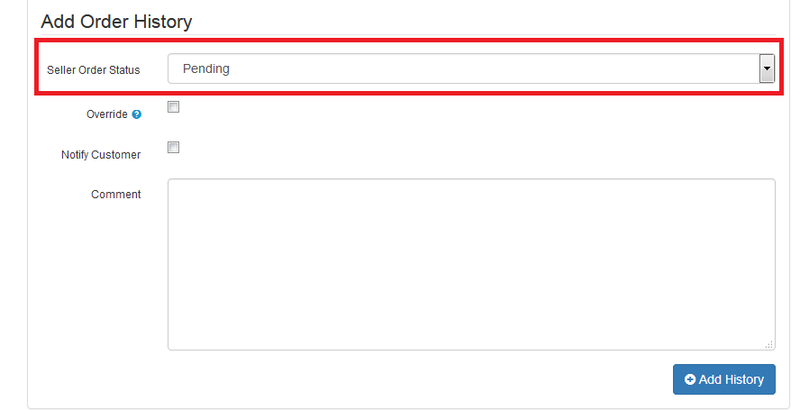 After filter and complete order status from admin and seller all orders show where vendor can view all orders. Now click on view icon and needed to complete order status. If vendor wants to print invoice and shipping of any order than he can print easily by clicking on print invoice and print shipping button of right corner. After clicking on view icon vendor can see order details like order details, customer detail, shipping address, payment address, order history etc. 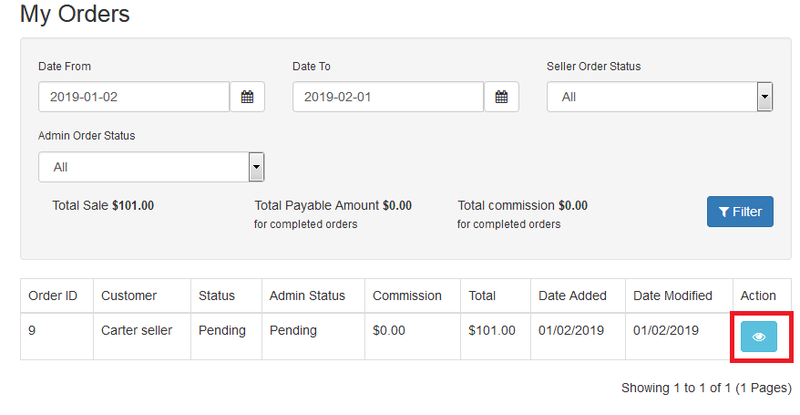 In add order history vendor can complete the order status if seller order status pending and can add comment for order. 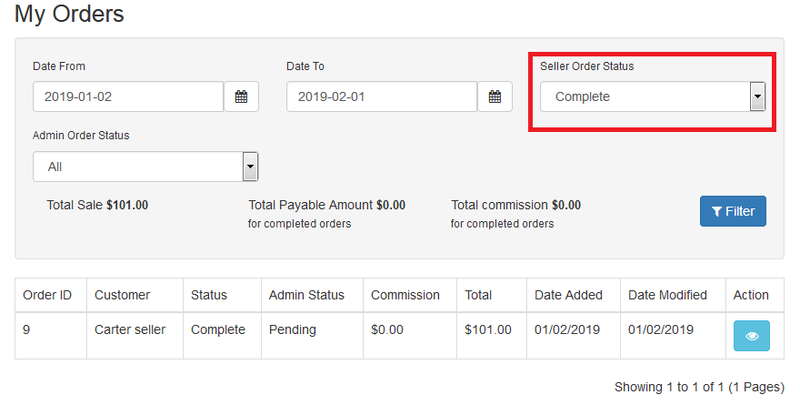 By default seller order status has been pending when customer order the products, but in add history vendor can change status pending to complete and admin order status not completed than also order will not show, but vendor can filte by admin status all and mange easily. After complete orders status order will show in list.